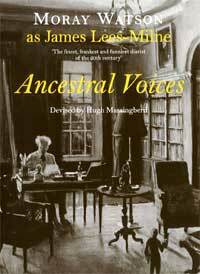 ANCESTRAL VOICES, a one-man play about James Lees-Milne based on his diaries and memoirs, devised by the writer, genealogist and obituarist Hugh Massingberd and performed by the incomparable Moray Watson, delighted audiences all over the British Isles from 2002 to 2008, playing for six sold-out seasons at London's Jermyn Street Theatre as well as showing at dozens of country houses, provincial theatres and London clubs. (A full list of venues is given at the end of this page.) Many of the performances raised large sums for charity. 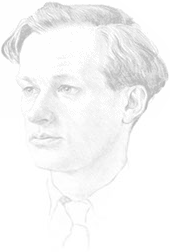 Hugh, a great lover of the theatre and admirer of JLM (as described in his memoirs Daydream Believer: Confessions of a Hero-Worshipper), was not just the 'deviser' but also the producer and director, and for more than two years after his play had its première at the Savile Club on 2 October 2002 he prided himself on attending every rehearsal and performance, touring around the country with Moray and the production's devoted assistants, Christopher Winn and Mai Osawa. 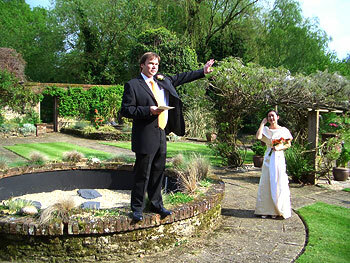 (Love blossomed over the props and lighting and Christopher and Mai were married in May 2004, the reception taking place at one of the country houses whose owners had hosted the production.) 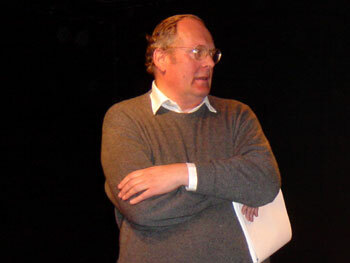 It was a great blow to the team when Hugh was diagnosed with cancer towards the end of 2004 and obliged to bow out of the production, though he faced his illness with fortitude and was in cheerful spirits at the play's hundredth performance at Fonthill, Wiltshire in May 2005 in aid of the Bulgarian Orphans Fund. Soon afterwards Christopher and Mai also retired from the production to write their 'I Never Knew That' series of illustrated books; but Moray continued to produce and perform the play for another two years, assisted by his son Robin and John Bratherton. The final complete performance was a gala at Barrington Court, Somerset on 23 June 2007 to celebrate one hundred years of ownership of that house by the National Trust. 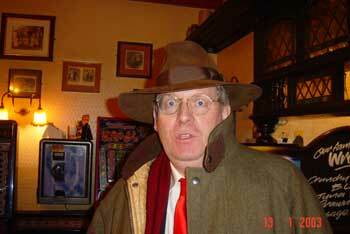 Hugh Massingberd died on Christmas Day 2007 at the age of sixty. 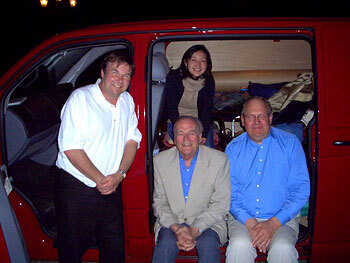 On 20 September 2008 an evening in his memory took place at the Kenton Theatre in Henley (where Ancestral Voices had been performed to a packed audience in June 2005), at which Moray Watson gave a final masterly rendering of scenes from a play which will long remain in the memories of all who saw it. 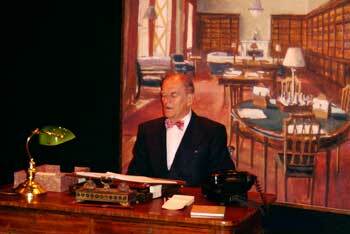 Moray Watson playing the youthful JLM in Act I, set in the library at Brooks's Club. 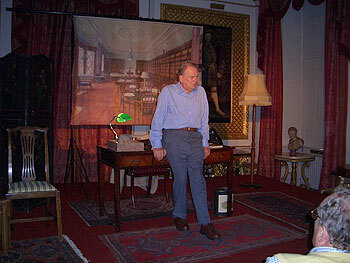 Hugh Massingberd directing his play at the Jermyn Street Theatre in January 2003. Hugh Massingberd arriving at the First Night Party. 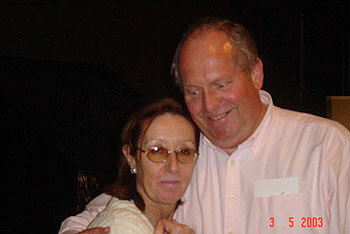 Hugh with Penny Horner, manageress of the Jermyn Street Theatre. 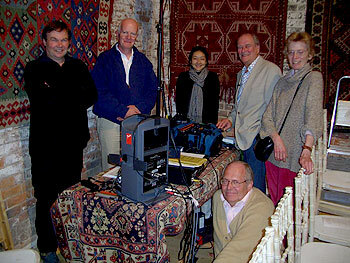 Moray and Hugh at the Savile Club with Michael Bloch (right), associate producer, and Michael Strassen (second from left), audio consultant. 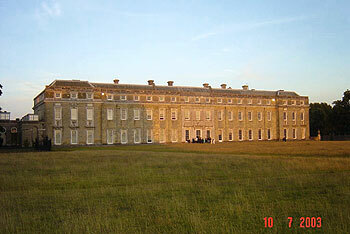 Petworth House, Sussex, one of the many country houses which hosted a production in aid of charity (July 2003). Part of the audience is visible refreshing itself before the performance. 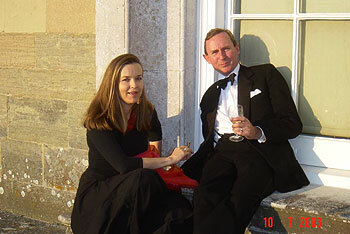 Charlotte Mosley and A. N. Wilson at Petworth. 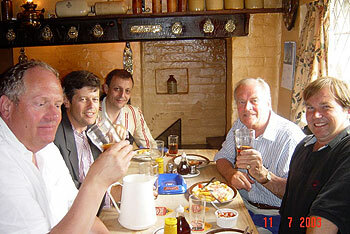 The team lunching at a pub (Christopher Winn on the right). 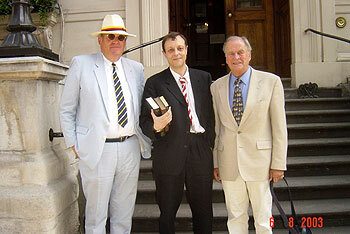 Hugh, Michael and Moray celebrating JLM’s ninety-fifth anniversary in August 2003. 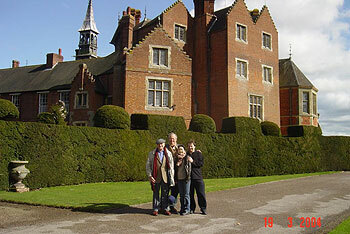 At Madresfield Court, Worcestershire – Moray, Hugh, Mai, Christopher. 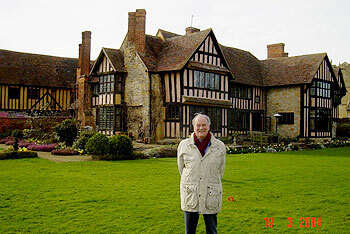 Moray at Wickhamford Manor, JLM’s childhood home. 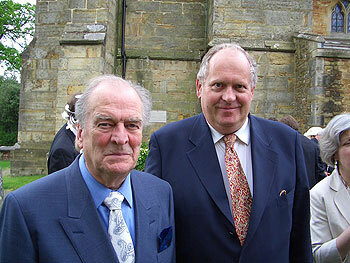 Moray and Hugh at the wedding of Christopher and Mai in Sussex, May 2004. 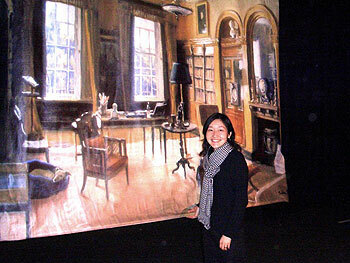 Mai with the Act 2 backdrop. 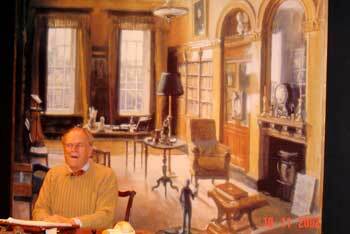 Before the hundredth performance at Fonthill, May 2005. 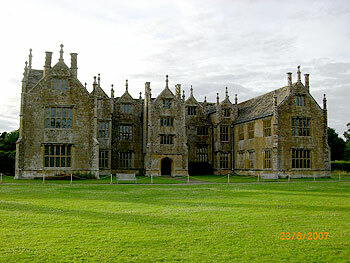 Barrington Court, Somerset, scene of the final performance, June 2007. 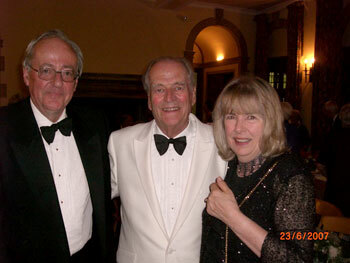 Having covered himself with glory, Moray attends the post-performance dinner at Barrington with Charlotte Bingham and Terence Brady. Jermyn Street, London (six sold-out seasons); Kenneth Clark Theatre, Somerset House; Buscot Park, Oxon; Pavilion Opera, Thorpe Tilney, Lincs; Helmsley Arts Centre, Yorks; Archers Hall, Edinburgh; Ondaatje Theatre, Royal Geographical Society; Yvonne Arnaud Theatre, Guildford; Queen Mother Theatre, Hitchin; Ustinov Studio at Theatre Royal, Bath; OSO Arts Centre, Barnes; Blackledge Theatre, Salisbury; Malvern Theatres; Magdalen Auditorium, Oxford; Eastgate Theatre, Peebles; Island Arts Centre, Lisburn, Co.Down; Barn Theatre, Smallhythe, Kent; Rook Lane Chapel, Frome, Somerset; Georgian Theatre Royal, Richmond, Yorks; William Kent House, Picadilly, London; 3 Cavendish Square, London; St Peter's, Vere Street, London; Chipping Norton Theatre, Oxfordshire; Jubilee Hall, Aldeburgh; Kenton Theatre, Henley-on-Thames; Christ Church Theatre, Royal Academical Institution, Belfast; Arts Centre, St Hellier, Jersey; Stoneyhurst College, Lancashire. 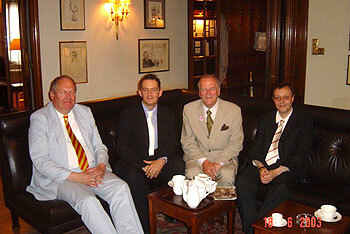 Brookss; Garrick; Cliveden,Bucks; Hurlingham; Travellers; Reform; Boodles. Farleigh, Hants; Prideaux Place, Cornwall; Wiveton Hall, Norfolk; Petworth, Sussex; Chesworth, Sussex; Sledmere, Yorks; Doddington Place, Kent; Horham Hall, Essex; Ugbrooke, Devon; Brocket Hall, Herts; Firle Place, Sussex; Hinton St Mary, Dorset; Glamis Castle, Scotland; Castletown, Co. Kildare; Chatsworth, Derbyshire; Englefield House, Berks; Hotham Hall, Yorks, Bowood, Wiltshire; Burghley, Northamptonshire; Goodnestone Park, Kent; Houghton Hall, Norfolk; Attingham Park, Shropshire; Fonthill, Wilts. ; Papplewick Hall, Notts. ; Crundle House, Kent; Palace of Holyroodhouse, Edinburgh; Hatfield House, Hertfordshire; Barrington Court, Somerset. Ripon, Yorks; Howden, Yorks; Windsor, Berks, Ludlow, Shropshire.